This Thai Spicy Shrimp Soup is a version of Thailand’s famous Tom Yam soup. In Thai the word Tom means soup and the word Yam means spicy, sour salad. These salad ingredients are in the soup therefore Tom Yam. Thai cuisine uses chile, garlic, lemongrass, fish sauce, palm sugar and lime to balance the sweet and the sour with the hot and the salty. The unique combination of these ingredients creates a harmonious layering of flavour upon flavour rot chart – the heart and soul of true Thai cuisine. Tom Yam Goong is made with prawns and is the most popular version of Tom Yam. In this version I use regular shrimp with their shells to make the tasty broth. Although fresh Thai ingredients are increasingly easy to find at Asian grocery stores I like to keep some ingredients in my freezer for convenience. Here are a few tips on buying and storing lemongrass, Thai chiles and lime leaves. Lemongrass comes in long stalks that look like gray-green, woody scallions. Both ends and the outermost layer are woody and inedible. Use the bulb-like base of the stalk sliced or coarsely chopped. For cooking classes I purchase fresh lemongrass stalks and freeze what I don’t use either whole or chopped. For everyday use I buy the frozen, pre-chopped lemongrass because it is convenient to use and I like to always have some on hand. Thai chiles, also called bird chiles, are small and fiery hot. So hot that wearing disposable plastic gloves to seed and chop them is a good idea. I buy these chiles fresh and store the excess in the freezer to use as needed. The small, bumpy skinned Asian variety of lime is prized for its fragrant, dark green leaves. Their unique citrus and pine scent is used for flavouring then the leaves are removed before serving. In this soup recipe they are very thinly sliced and can be eaten. Lime leaves are sold fresh, dried or frozen. I keep some in the freezer so I can cook Thai whenever I want. For anyone on a gluten free diet Thai cuisine offers amazing flavours that are usually gluten free. 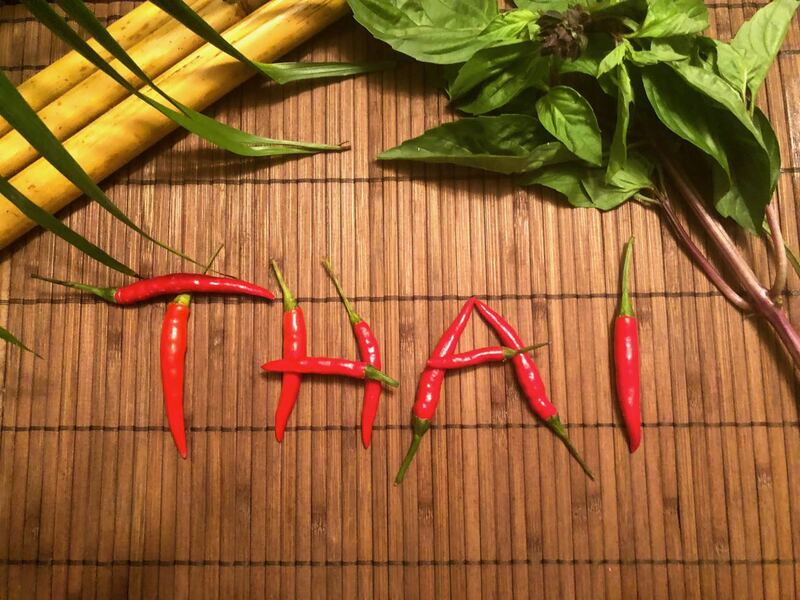 Let me know in the comments below if you have a favourite Thai recipe. Rinse shrimp and shell, reserving shells. Trim both ends of lemongrass stalks and discard the tough outermost layer. Set aside 1 stalk for later. Take the remaining 3 lemongrass stalks and crush lightly by hitting with the back of a knife. Cut lemongrass into 1 inch pieces. In a large soup pot combine water, lemongrass, reserved shrimp shells, cilantro stems, salt and pepper. Bring to a boil and simmer, uncovered for 20 minutes. Strain broth into another saucepan. Thinly slice the lower 6 inches of the remaining lemongrass stalk discarding the rest. Add lemongrass and julienned ginger to the broth, simmer 5 minutes. Add shrimp and simmer 1 minute until pink and firm to touch. Cut chile in half and remove seeds. Slice chile so pieces are large enough to easily see. Add fish sauce, lime juice and chile to soup. Taste for seasoning. Serve soup into 6 bowls. Add cilantro leaves and lime leaves before serving.